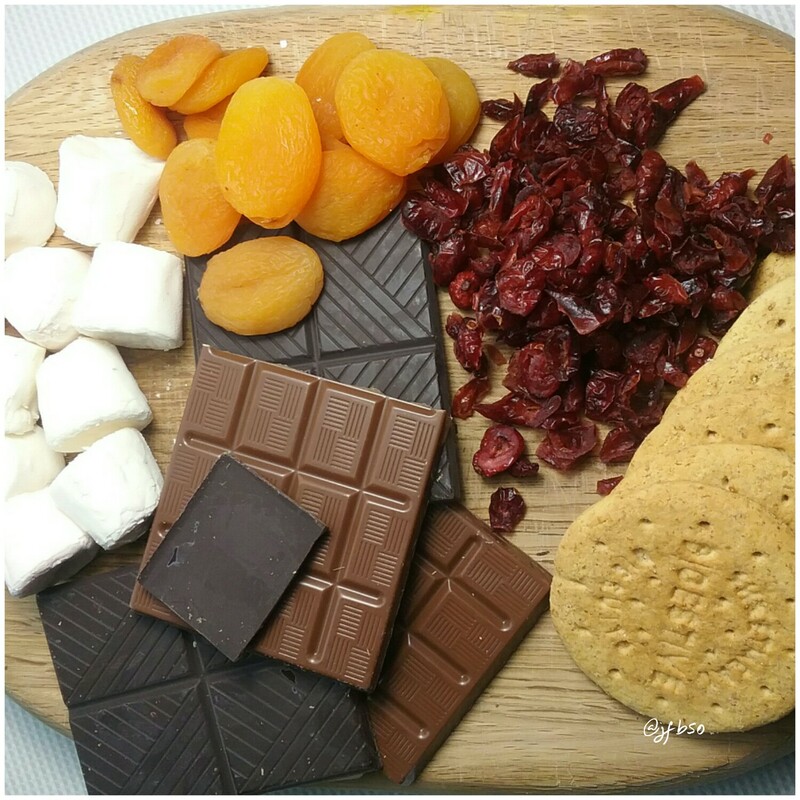 Rocky road | Jo's food bites. Decadent treat to have with a cup of coffee or tea. Really quick and easy to make. I love a recipe that doesn’t need scales. I always use the same basic ingredients – plain and milk chocolate, marshmallows and digestive biscuits ( gluten-free or wheat). To these I vary what I add. For this post I used dried apricots and cranberries. Sometimes I use pistachios and other dried fruits. Melt the chocolate and add the dry ingredients and mix up till all coated with chocolate. If excess chocolate, add more biscuits. Lightly press in to a tin lined with cling film and put into the fridge. Once chilled, cut in to pieces. What a treat Jo – I bet this is a crowd pleaser too!